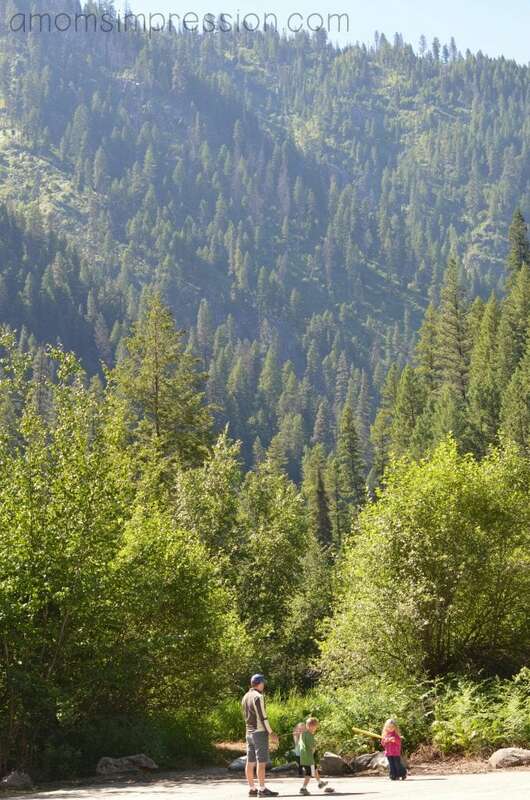 We are here in Idaho on our two-week trip to visit my family. I love traveling with my family and being able to see them interact and play in the same places that I did when I grew up. Yesterday we all swam in the pool that I learned to swim in as a child and drove around the mountains that I grew up in. It’s these types of moments that make all the planning, preparation and traveling worth it. We take a few plane trips a year with the kids and along the way we have learned a few tricks of the trade. Flying with kids can be stressful, here are some tips to make things a bit smoother. Bring lots of activities. We usually limit the amount of screen time our kids have every day when we fly we allowing an exception to this and give them an iPad to carry along with them. This has come in handy on the planes that don’t have screens and movies for them to watch. The trick is to make sure you have apps on your devices that don’t need Internet access. My daughter (age 5) loves the coloring apps so we loaded up some new ones for the trip. Buy new books for your kids to read. We love reading! My kids get excited when I get them new books so before our trip, I picked out a few for each child and set them aside. 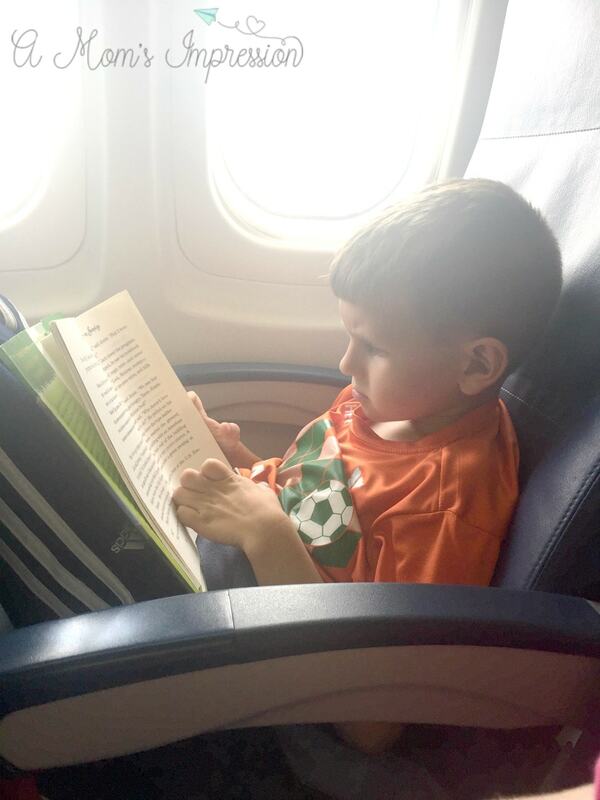 Jonah was so excited to read his new chapter book that he finished it on the first leg of the trip! I am glad we decided to get him a couple of new books! Bring a change of clothes and wipes with you. My kids are older and are out of the baby wipes stage, but I learned the hard way to keep a small package of them in my purse. They come in handy. My kiddos have spilled apple juice on themselves, sitting in wet clothes on the plane is not a fun experience. The wipes are great to wipe down the tray tables before eating snacks or for cleaning up faces quickly. Grab a few packages of gummy fruits snacks or gum if your children chew it. My kids don’t chew gum so I make sure to give them something to help with their popping ears. My daughter seems to have an issue almost any time we travel by plane. Be sure to bring along a lot of snacks! While you get a small package of pretzels or peanuts on the plane, those snacks are not really filling. We make sure that we bring protein snacks with us when we travel. Protein fills up our kids’ tummies and helps them stay energized throughout our travels. When off of our normal eating schedule, protein snacks have been a lifesaver. 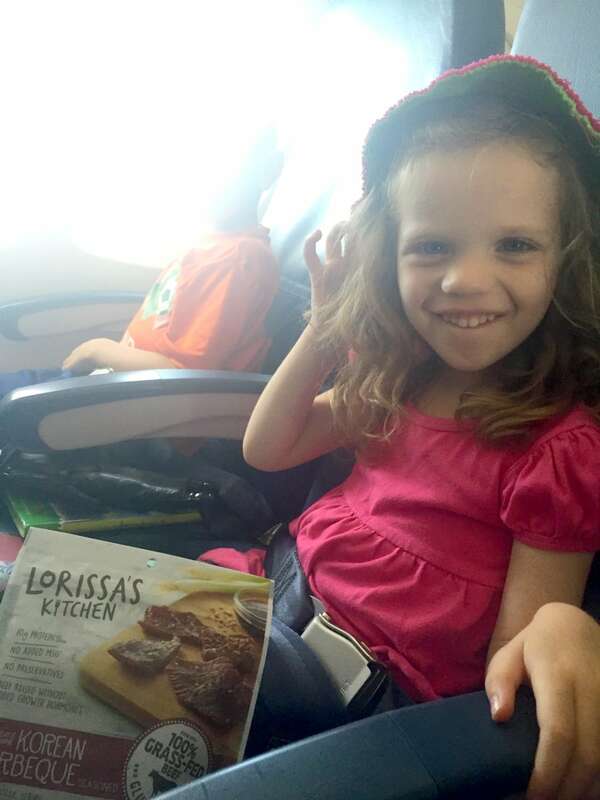 Recently we have been loving Lorissa’s Kitchen meat snacks and they have been the perfect snack to bring with us on our travels. 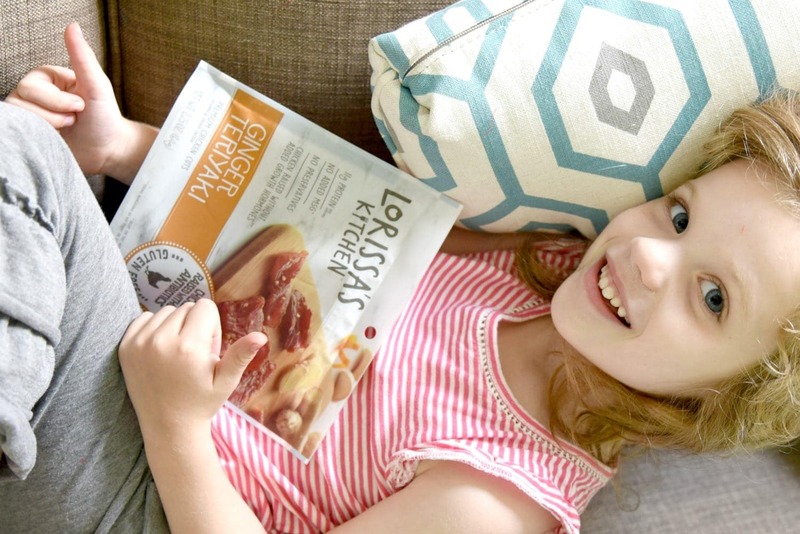 Lorissa’s Kitchen meat snacks have 11 grams of protein per serving, contain no nitrites, preservatives, or added growth hormones, and are gluten free. 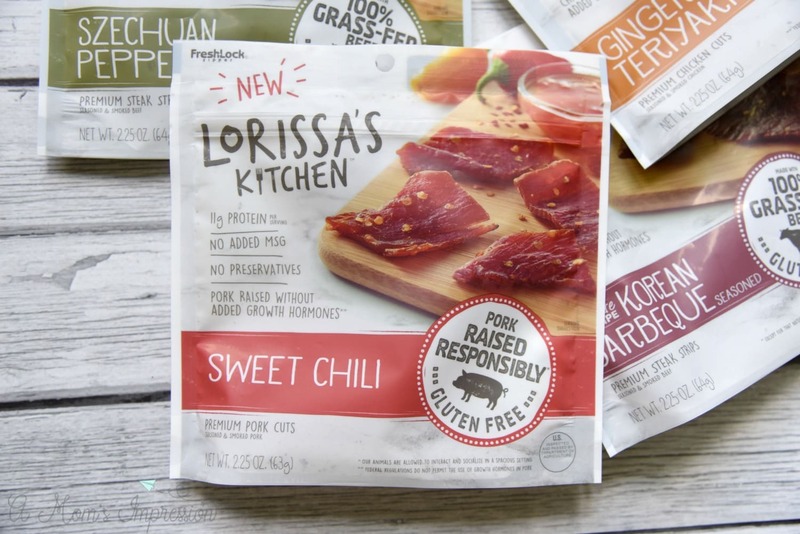 Lorissa’s Kitchen uses only responsibly raised 100% grass-fed beef, and antibiotic free chicken and pork. 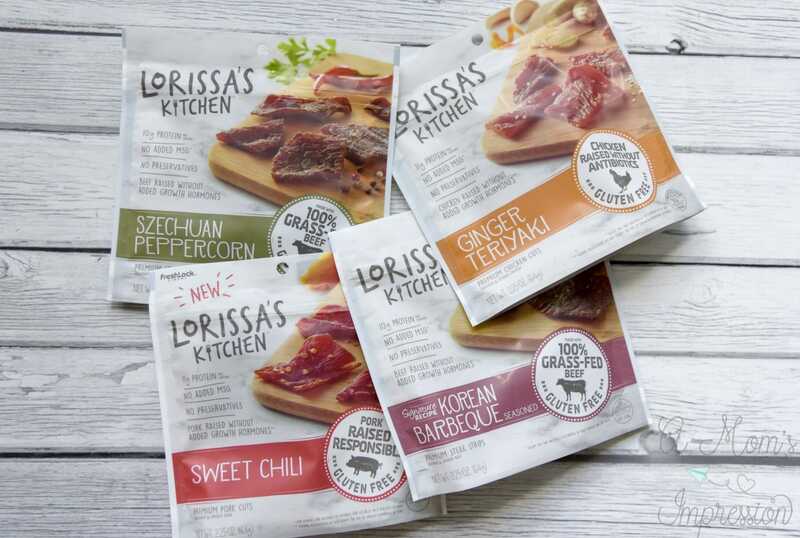 Lorissa’s Kitchen products are available in many delicious flavors including Sweet Chili Pork, Korean Barbecue Beef, Ginger Teriyaki Chicken, and my personal favorite Szechuan Peppercorn Beef. You can purchase a variety pack or each flavor individually here. We love taking our meat snacks on our trips. The convenience of the small packages makes them the ideal snack to bring on any family adventure. For more information be sure to check out Lorissa’s Kitchen!